In the previous post we learnt what pointers are, their properties, and how to use them. However, most likely this didn’t help understand why pointers are so useful or why we even need them at all. Today we’re going to take care of that. Pointers are most valuable when combined with other functionalities of the C language. 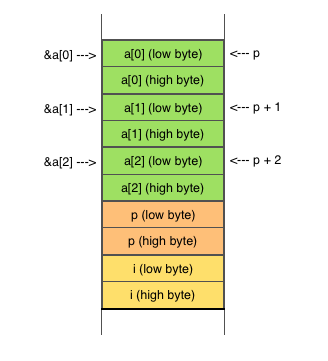 Let’s start by taking a look at how they work with arrays. Pointers didn’t help much in this case. However, consider what happens when we’re working with an array. All the elements in an array are perfectly aligned in memory one after the other. This is when things get interesting: if we have an array of integers called a, and a pointer p to the element a[i], then p+1 will certainly point to the next element in the array, a[i+1]. This version will do exactly the same as the previous one (compile and run it to confirm), but using one less variable. 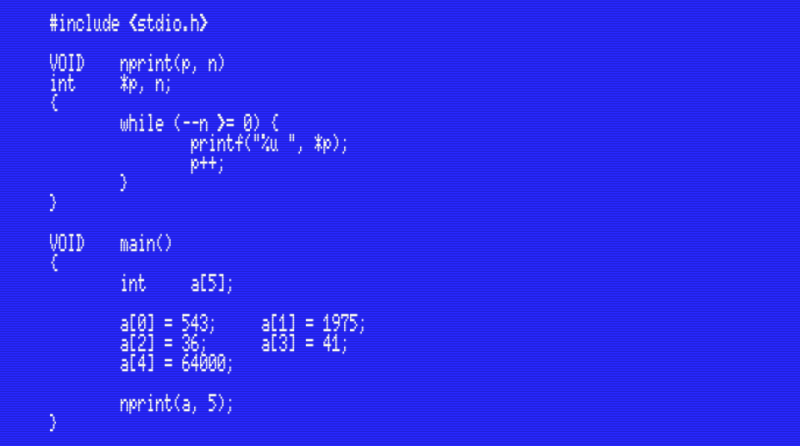 At the beginning it’s normal to feel that pointers make the program a bit more difficult to follow, but when we get used to working with pointers they often feel more natural and are easier to use. So, if a is a pointer to a then a+1 will be a pointer to a, or, in other words, is equivalent to &a. Based on this it follows that in general, a+i is exactly the same thing as &a[i] regardless of the type of the array a. We learnt some time ago that we can’t use an array as a function parameter. However, we can achieve the same thing by passing a pointer to an array. Similarly, we can use pointers to implement functions that return more than one parameter and also use them to modify local variables that belong to other functions. Let’s see how these techniques work. When main() starts the variable i has some memory address already assigned, but its content is still undefined (random) because the program hasn’t initialized it. At this point the pointer p doesn’t even exist yet. main() calls cleari() and passes it the address of variable i. Inside cleari() the pointer p is created and assigned the address of i.
cleari() sets the integer value pointed to by p to 0.
cleari() ends and now main()‘s i variable is set to 0. Notice what happened here: inside the cleari() function main()‘s local variable i was reset to 0. We already know that a function’s local variables can’t be accessed by other functions. However, using pointers allows us to bypass this restriction and perform operations with memory addresses that belong to other parts of the program. We’ve just seen that functions accept pointers as parameters and that in this way we can modify variables that belong to other functions. We can use this technique to our advantage in order to implement functions that return more than one value. This addsub() function takes four arguments. The first two are the two integer values that we want to add and substract. The other two (s and d) are pointers to integer that the function will use to store the results. Notice that in this case we’re declaring the return type of the function as VOID to indicate that it doesn’t return any value. Instead, the results are stored directly in the addresses pointed by s and d.
After this function call the variable sum will contain 1700 and dif will contain 300.
a refers to the start address of the array as a whole. &a refers to the address of an element in the array, in this case the first one. The compiler doesn’t care which notation you use. Feel free to write it in whichever way makes you feel more comfortable. In this chapter we’ve learnt how to use pointer arithmetic to access each of the elements of an array and we’be seen that array names are actually pointers to the first element in the array. We’ve also seen how to pass pointers as arguments to functions and how to use this to expand the capabilities of C functions. 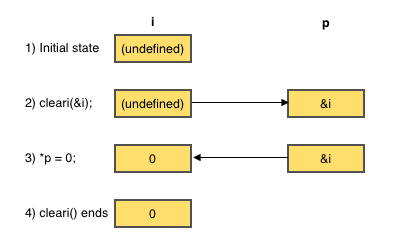 Now that we’ve learnt about pointers and their relationship with arrays, next we’ll take a deeper look at strings in C.
This series of articles is supported by your donations. If you’re willing and able to donate, please visit the link below to register a small pledge. Every little amount helps. Of course it can. That’s how most string management functions are written. The iter() function in the exampe above just takes a pointer to an int and returns it incremented. The while() loop iterates through all the values until it finds one that’s equal to zero. Good example Javi, well done! Really a well explained post, pointers are one of most difficult C concepts. About returning a pointer as far as I know you can even use VOID * as wildcard to return any pointer type, maybe? This is, if you want a function that depending of certain conditions return one type or other, you could declare return type as VOID * and makes casting in call function. Well, in MSX-C the VOID type is just a redefinition of char (remember that void didn’t exist until later versions of the C language). But yes, casts will work just fine. Yuki is adorable. I’m glad you have more fuzzie in your life. I still remember you and Luna. Just wanted to say hello after many years on the webs. Thanks a lot. Unfortunately, Yuki passed away a few months ago, and Kuro (another ferret I had together with Yuki) a year and a half ago. Both were 6 years old. If you add me on Facebook you can see lots of their photos (and stories) in there. 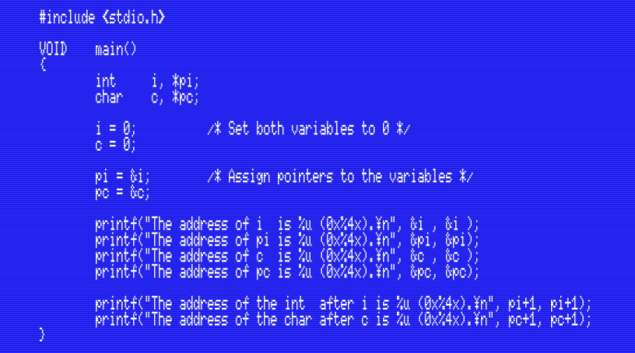 Hi again, this time I get a question not related with this specific topic but a general MSX-C compiler question (sorry if it’s not the correct place, I think it’s a interesting issue). This is about 2700 extra space for symbols. Well, I still get symbol table overflow althought it was caused only by a extra variable. It clearly seems a compiler bug. Any idea to solve it? Thanks. Please post here the memory statistics with -m before and after adding the variable. In any case, I think that when a program becomes big enough to require tweaking the compiler’s pool/symbol/hash tables it’s time to split it into several files and compile per parts. This will also speed up your development. Will you need help with this? Sorry for delay, really busy with working :-(. 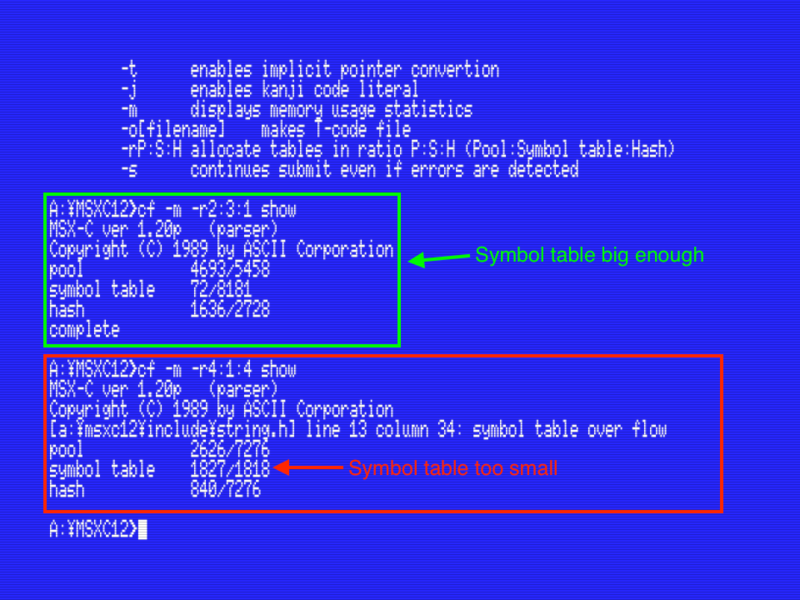 I use -m flag, curiously as you can see in your attached PNG the symbol table allways is fixed to 72, no matter how big is the code, and suddenly it produces “Symbol table overflow”. Once it appears, no matter what -r configuration you use, error remains, so it seems some kind of memory leak with symbols. I’ve seen a little trick to save symbols: if your code has main function, don’t use local variables in main, they really uses a lot of symbols. With the “main trick” I’ve avoided it, but as I say I really think it’s a compiler bug. Code is splitted since months ago, I’ve started to have symbol table overflow recently even with splitted code ;-). I wouldn’t call it a memory leak until all other options have been tested and discarded. 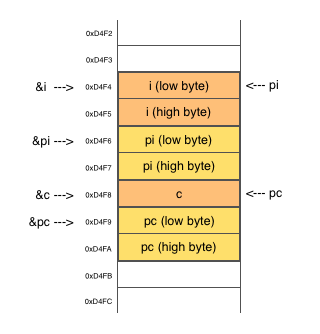 After all, if there’s an actual leak the compiler wouldn’t see the symbol table growing. It would just run out of available memory at some point while not using it. Are you sure that adding the variable is the only change? You aren’t including any other header file? any idea when the following article will be published? Hello Javi, Thank You very much for these tutorials. I started to lear C language with them. Thanks a lot.